EGYPT. Cairo. 2011. 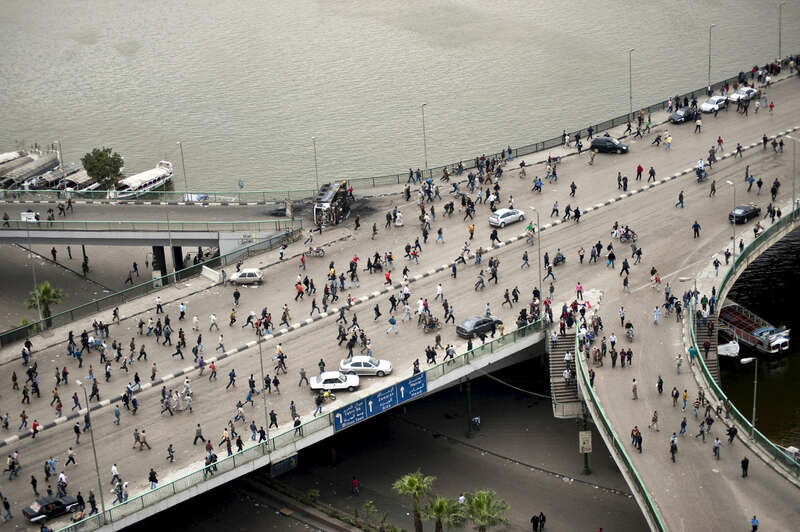 Mubarak supporters flee across the 6th of October Bridge the crosses the Nile after being routed from Tahrir Square by Anti-Mubarak fighters following a 24 hour street battle.